Meet Our Authors is a free online events programme which allows you to watch your favourite authors from the comfort of your own classroom. So far we have had events with Michael Rosen, Michael Morpurgo, Julia Donaldson and Charlie Higson. Don’t worry if you have missed them, they are available to watch again on the Scottish Book Trust website. I am writing to let you know that the audience age group for the online Meet Our Authors event with Philip Pullman on the 9th December at 11am has been changed to P4 to S2 pupils. Philip will be speaking about and reading from his tales – Clockwork, The Firework Makers Daughter, I was a Rat and The Scarecrow and his Servant – which have just recently been republished in one volume. These stories are suitable for 8+ and have fantastic fairytale elements to them. He will also be talking about his books that have been made into movies and we will be showing clips from The Golden Compass. 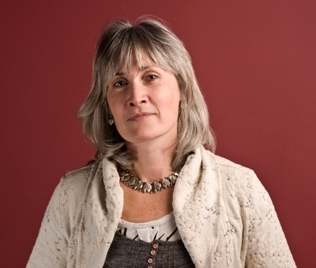 The event will be chaired by Katie Waldegrave, executive director of First Story, and be filmed in London. We really appreciate if you would register to give us an idea how many people have watched the event. There is still time to put your questions to Philip. Remember, we get thousands of questions so to make sure yours will be asked, think of something unusual to ask Philip. Send them in an email to heather.collins@scottishbooktrust.com or ask them on the BBC website: http://www.bbc.co.uk/scotland/learning/authorslive/. Our up-coming Meet Our Authors programme will feature previous Children’s Laureate Jacqueline Wilson on the 27th January 2011 and Artemis Fowl creator Eoin Colfer on World Book Day. You can register for both events already. We really hope you will make use of this fantastic, free opportunity to watch bestselling and award-winning author Philip Pullman live. I met with Jan Ainslie, PT English at Preston Lodge High School, yesterday afternoon to discuss Curriculum for Excellence in her faculty. We spent a lot of time discussing the shift in emphasis that CfE presents in English in terms of how the skills are developed and the broader definition of literacy. She also shared their plans to develop their systems of assessing progress against the Experiences & Outcomes. Curriculum for Excellence has made explicit the expectation that all staff have a responsibility to contribute to the literacy development of learners. However, not all education professionals are fully confident in their own understanding of how language works. 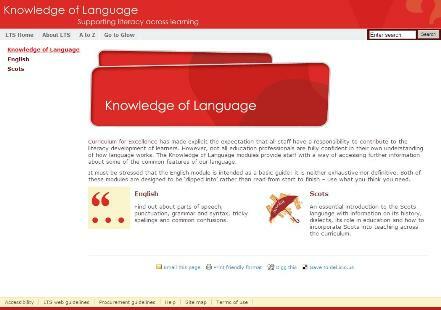 The Knowledge of Language modules provide staff with a way of accessing further information about some of the common features of our language. Cathy will be available to answer all your questions about creative writing online on 3rd Feb (time to be confirmed) via Glow Meet. Do you know about the Development & Progression documents? You can also access these, and many other documents, through our documents page.